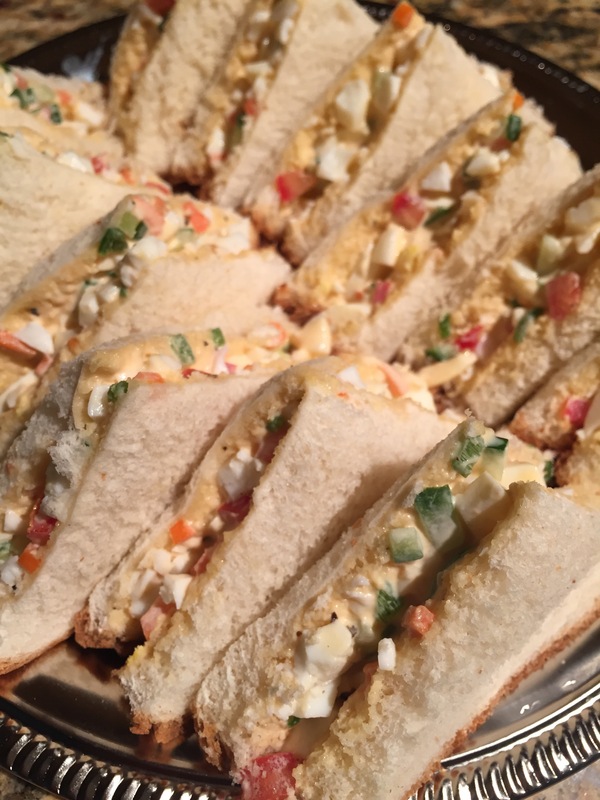 If you ever thought egg sandwiches were boring you’re gonna wanna try this recipe. As much as I love the classic egg sandwiches that just have mayo and some salt and black pepper mixed in, these are a true winner. Fresh vegetables add a vibrant punch of flavour and once you’ve tried these, you’ll never settle for simple again. In a bowl mix together all the ingredients except the bread. 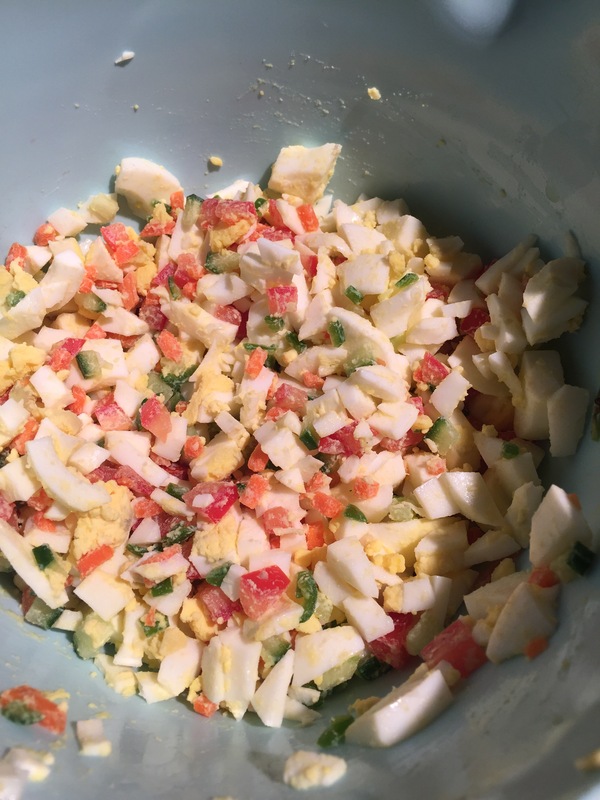 (Most of the time I only add 4 egg yolks to the sandwich mix instead of all five). Taste to see if more salt or black pepper is needed. 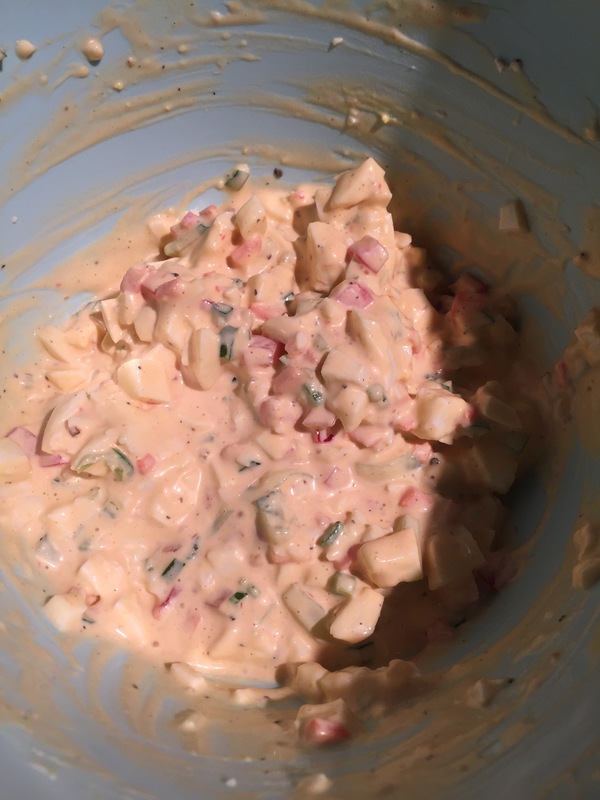 You can put the mix in an airtight container and use it as needed or make sandwiches and serve them right away! There’s so much flavour in them already that you don’t even need ketchup or any dip to serve with them. 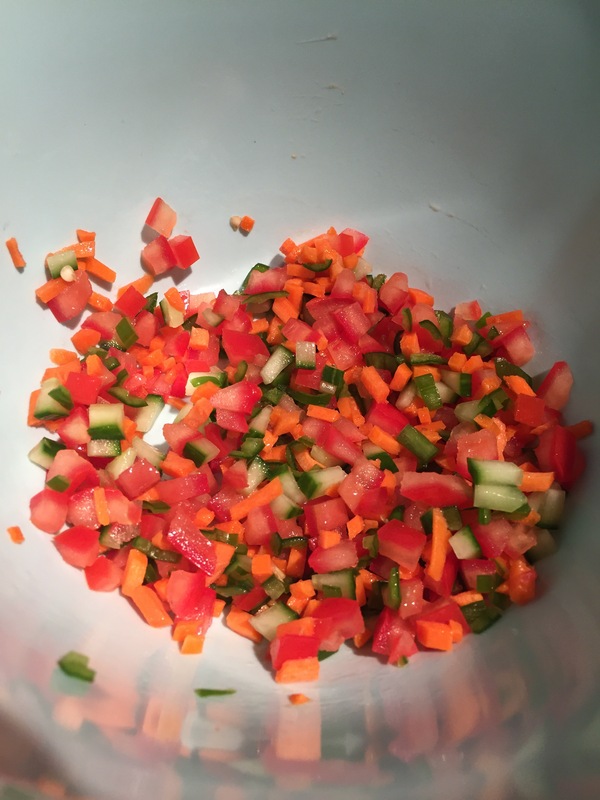 I like to keep this mix in the fridge so I can make myself a sandwich for a quick snack, and it’s great to have on hand when you have unexpected visitors as well.